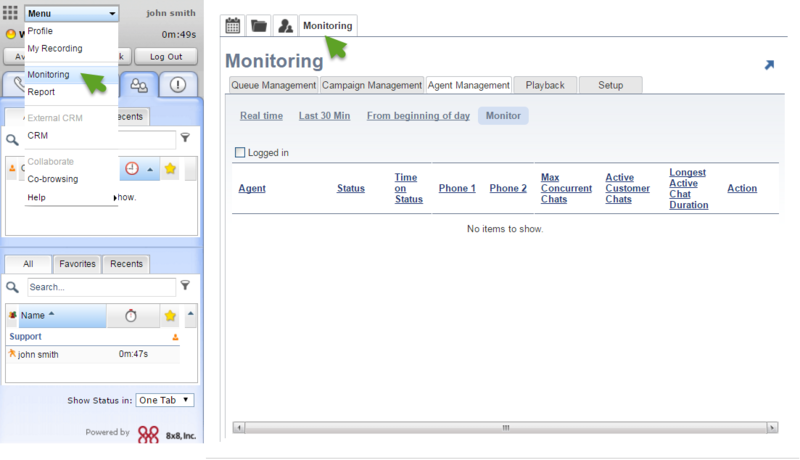 As an administrator, you can enable the Monitoring tab for supervisors. You must log into Configuration Managerand enable this option for each supervisor individually. 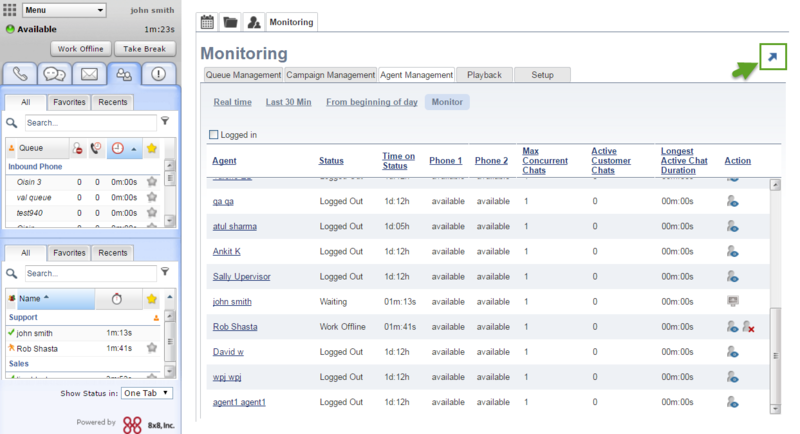 The last monitoring configuration before the supervisor logs out is saved and presented when he logs back in.